For your consideration is this small hexagon shape pill trinket box. The base iscomposed of a yellow enameling with blue pink floral brass a gold metal trim. The top is white enameling with two butter flies. 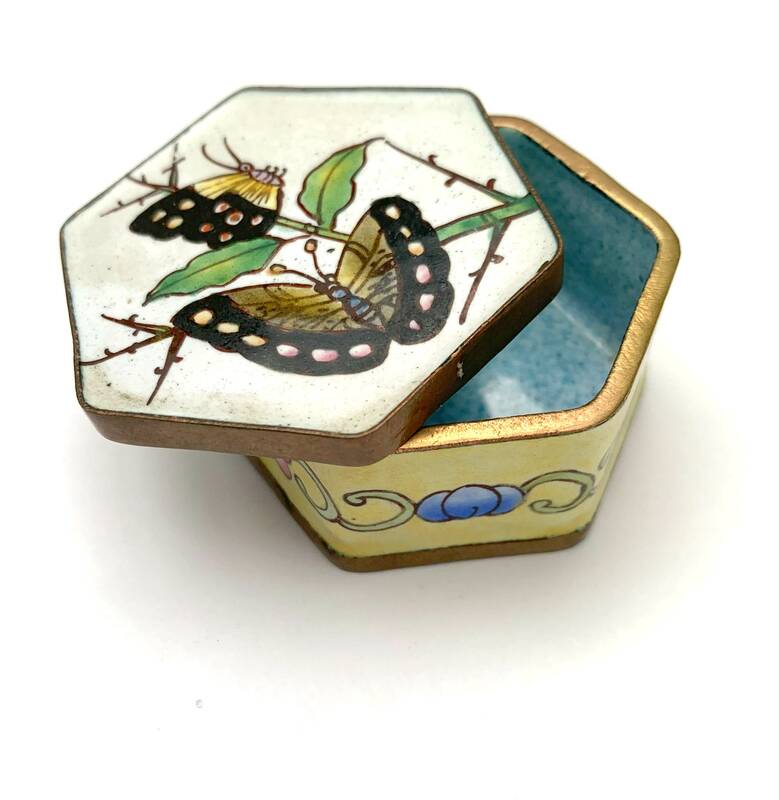 this small box can hold rings ,pill and any other small treasures.